Dr.Somkid Jatusripitak, Deputy Prime Minister of Thailand tend to speak in any occasion that Thai economy was getting better. This is not the fact. If we believe him blindly and invest heavily, we would be in touble. 1. The latest release of the World Bank in June 2018 disclosed that Thai economy in 2018 would grow at the rate of 4.1% not 4.8% or any other figures said by other research houses. 2. Considering this figure of 4.1%, it was still among the lowest in this region (No.8 in the ASEAN Region). Other countries grew 6.9% for Cambodia (No.1 in the Region) to 5.2% for Indonesia (No.7 in the Region). 3. In 2019 and 2020, the World Bank forecasted that the growth would be 3.8% in the case of Thailand for both years which was still among the lowest in this region. 4. 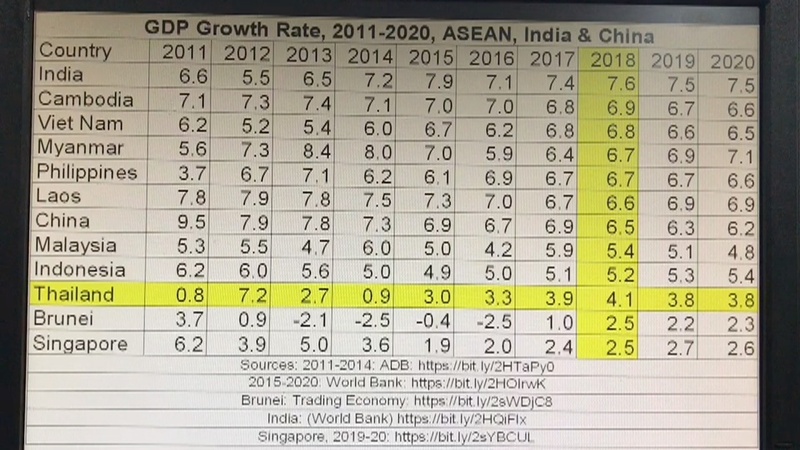 Thailand's GDP growth was better only than that of Brunei and Singapore where both grew only 2.5%. However, the GDP per capita of these two countries were five and seven times larger than that of Thailand. 5. Not only the less developed countries compared to Thailand grew quickly, those equivalent or more developed countries such as Indonesia, Malaysia and the Philippines also grew at a higher rate than Thailand. 6. For India and Chin with population of around 1.3 billion or 20 times larger than Thailand, their economies were growing at a higher pace than Thailand as well. 7. 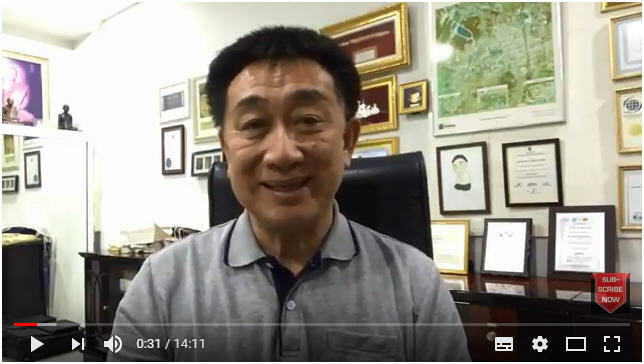 Dr.Somkid tended to said that it was a leapfrog in the growth from 0.9% in 2014 at the period fo the Coup to 4.1% in 2018. However, this was not a big increase at all. 8. In the period of Prime Minister Yinglak, GDP grew from 0.8% when she came in 2011 to 7.2% in 2012. This was higher than many other countries in this region. 9. However, due to the plotted political crisis to pave way for the coup with illegal shutting down of illegal protests, GDP growth was reduced to 2.7% and 0.9% in 2013 and 2014. 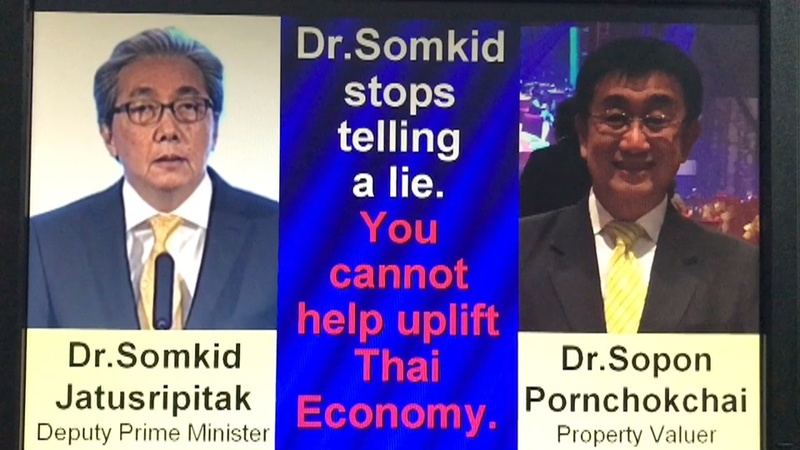 Therefore, Dr.Somkid should stop telling a (white) lie. It won't help. He should keep working without any propaganda. Thailand is basically very great but it might be obstructed by the Coup where it was not accepted by the international community. We should be very scrutiny in investing in Thailand.